Have you been doing research on Sono Star Technologies Co Ltd in Guangzhou located in China sells Medical Ultrasound? 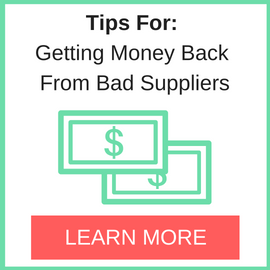 If so, read on below to read one buyers experience when trying to buy Medical Ultrasound. RE: SonoStar Technologies Co. Ltd. In response to the statement issued by “Vita” that challenges the validity of the posting, we offer the below reply. First and foremost, it should be well understood that the original posting is dated August 25, 2016, which is 2 years ago. As such, the subjects of “…TUV in 2017” and “FDA certification in 2018” have zero relevance as it relates to the original complaint. Information consulting service of goods. Which is it? Apparently the “test” company is not sure of its own name, perhaps. At any rate, the issuing company is purported to be a UK corporation. As such, UK government database was searched at length for all possible matches of the various names used on the certificate. 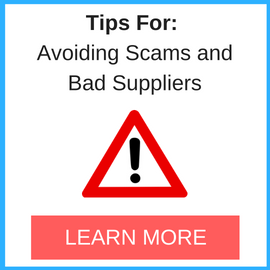 All names were found to not match any UK registered corporation, active, or otherwise. To conclude this rebuttal, please understand, Vita, and associated SonoStar, that this includes only the details of the “CE Certificate” that you stated you received in 2013, never mind the fact that the date on this actually reads “2014”. For reference, our DD file on your company contains 1.3G of data. Imagine all that can be described in great detail, considering I have only outlined a single “certificate”. Should you, Vita, and SonoStar, Mr. Cai, et al, wish to further challenge the statements made as they pertain to the posting date of August 25th, 2016, I would be more than happy to continue this most entertaining educational presentation of facts. I will remind you that production, promotion, and selling, a medical device globally and failing to report such activity prior to submission of FDA 510(k) is absolute grounds for being blacklisted by the FDA as well as being barred from subsequent applications as a so called “manufacturer” of regulated devices, be it Class I, II, or III. According to our same DD investigation, you, i.e. SonoStar, have conducted such activity as related to “U-Probe” since 2015 and I am more than happy to follow up with the FDA advisory board should your incessant demands to have our complaint removed continue. With that, Best of Luck to you. Need More Info on Sono Star Technologies Co Ltd in Guangzhou? 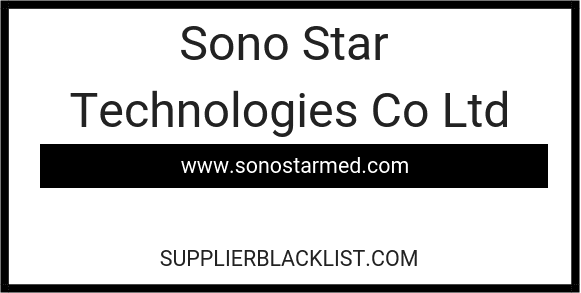 If you need more information, you can click the below links to search for more submissions about Sono Star Technologies Co Ltd in Guangzhou on Supplier Blacklist as well as go to the search results page on Google for more reviews online about this company. Perform a Supplier Blacklist search for more reviews on Sono Star Technologies Co Ltd in Guangzhou. Search Google for Sono Star Technologies Co Ltd in Guangzhou Reviews.